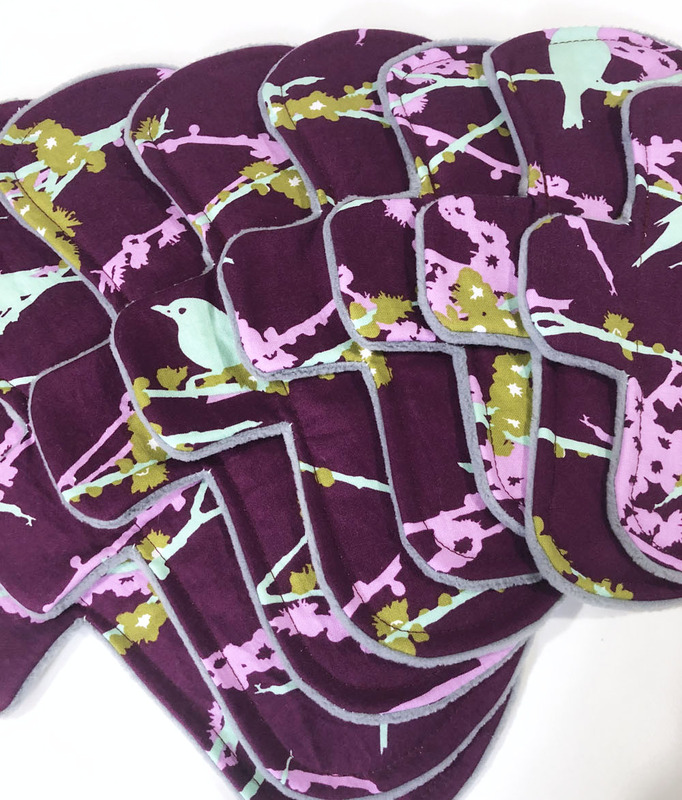 Home > Cloth Pads > 8 Inch Light Flow Pads > Plum Sparrows Cotton Woven Pads with Fleece backs - Pick Your Size! 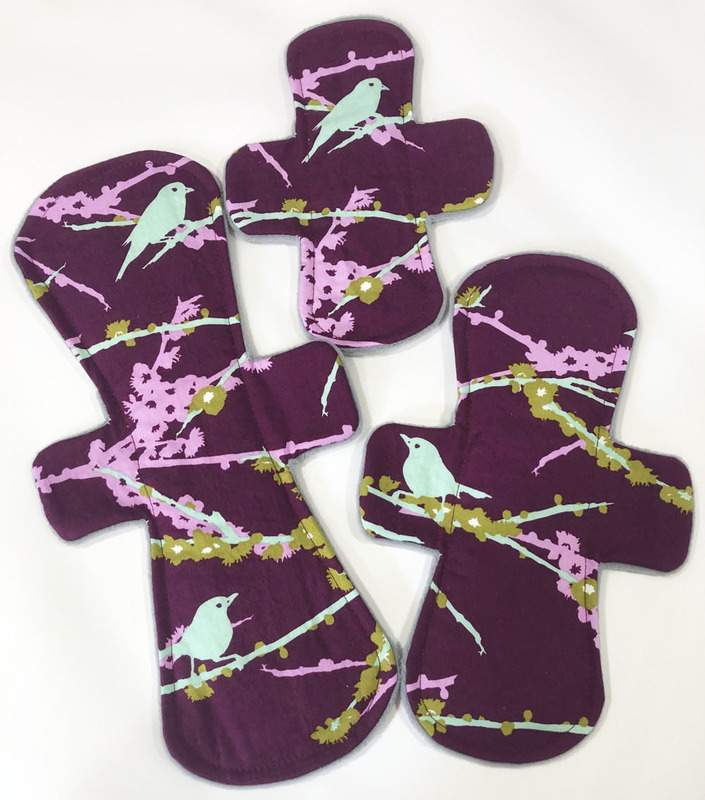 These pads feature a Plum Sparrows Cotton Woven top. The pads are backed with Water Resistant Windpro Fleece and feature an absorbent core made of Bamboo Fleece.